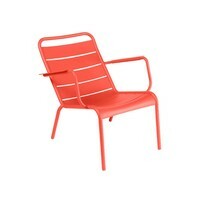 Borrowing design cues from the classic chairs gracing the Luxembourg Gardens of Paris since 1923, this contemporary update unites a relaxed take on the original’s classic lines. 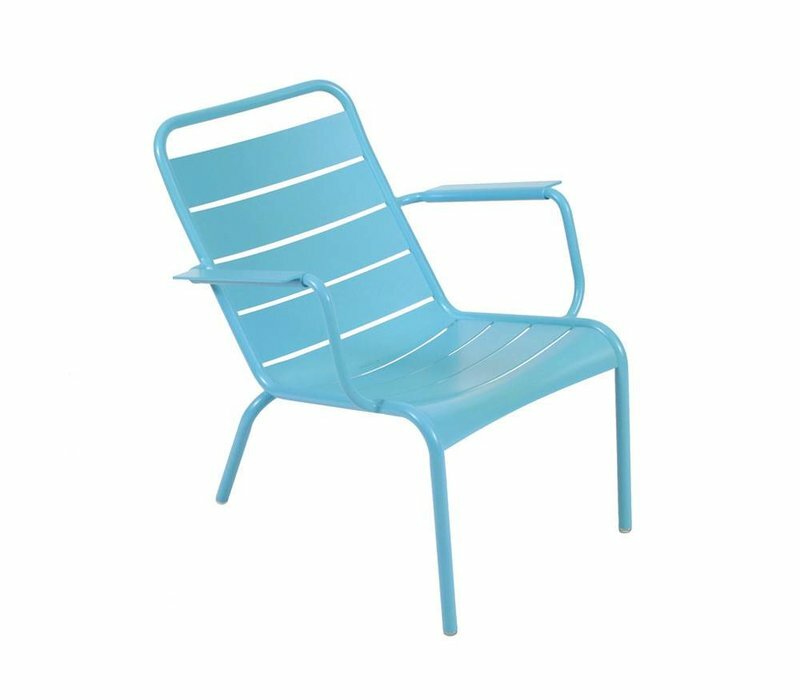 Today's chairs are designed with ultra-light aluminum tubing, UV-resistant colors and the brand’s exclusive Very High Protection finish. 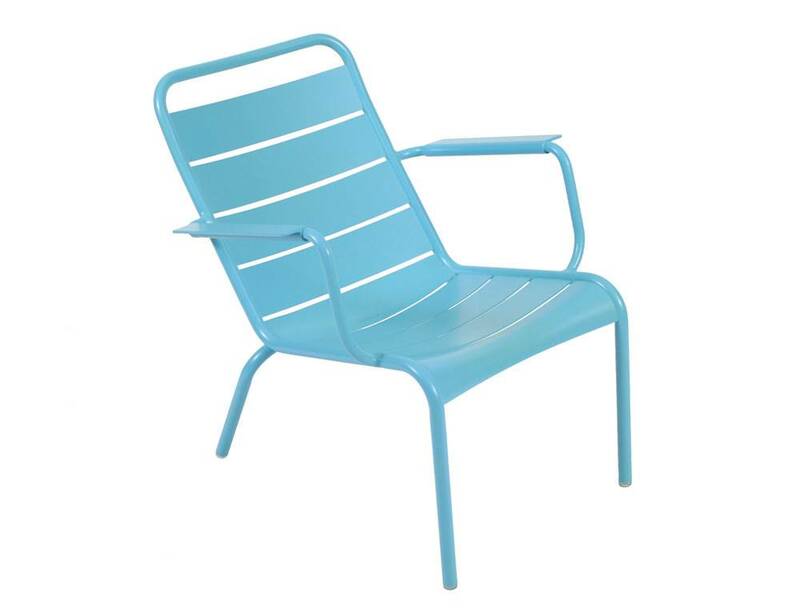 The luxembourg low chair is the perfect addition to your balcony, patio or poolside. Over 20 incredible colors are available to bring pop to your outdoors. 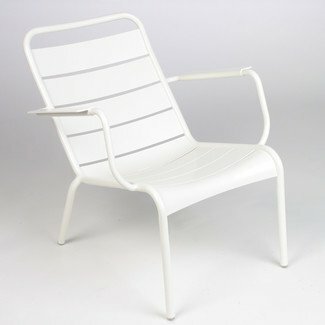 Processed with a Very High Protection Treatment for outdoor use. The Luxembourg range, initially produced for the Jardin du Luxembourg in Paris, has become something of a legend in its own right. 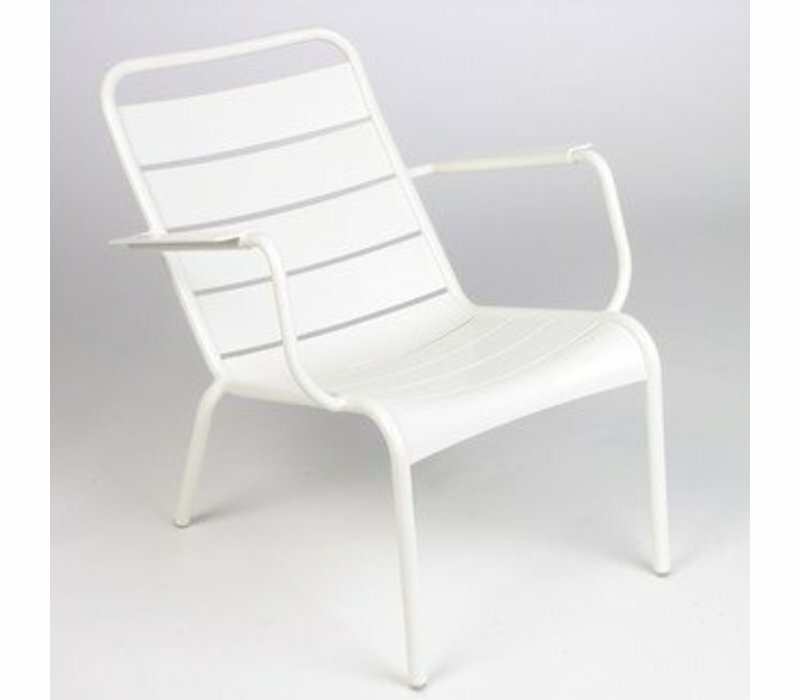 Its style is an emblem of French design – an expression of French culture in furniture form! 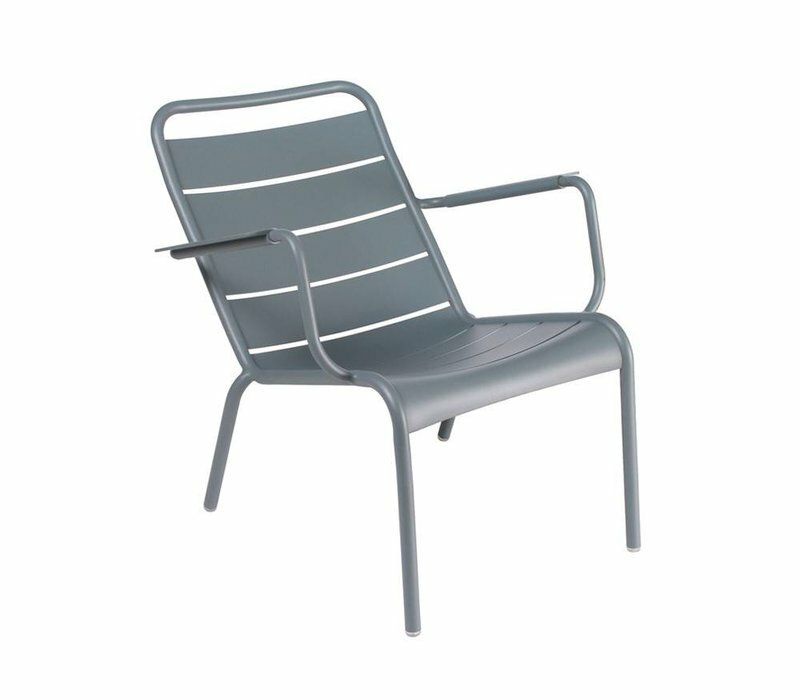 Today, Luxembourg is a fabulous collection made from aluminium whose watchwords are lightness, joie de vivre and conviviality. Recently, Fermob asked Frédéric Sofia to reinterpret the legendary chairs and armchairs of the Jardin du Luxembourg, created in 1923 in the Paris parks department workshops, and which Fermob still manufactures today for the city's public gardens. 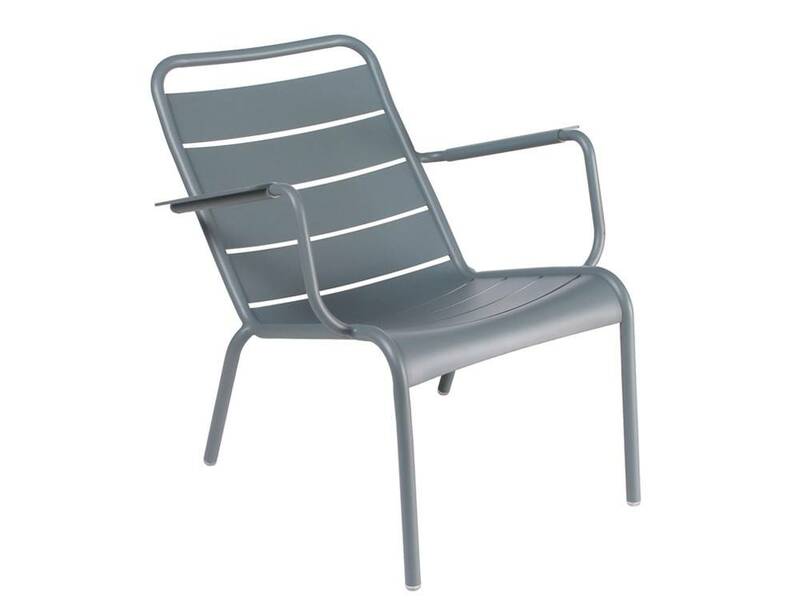 The result was a whole collection of furniture with the same distinctive lines and forms, combining the lightness and resistance of aluminium with the comfort of curved seat slats. 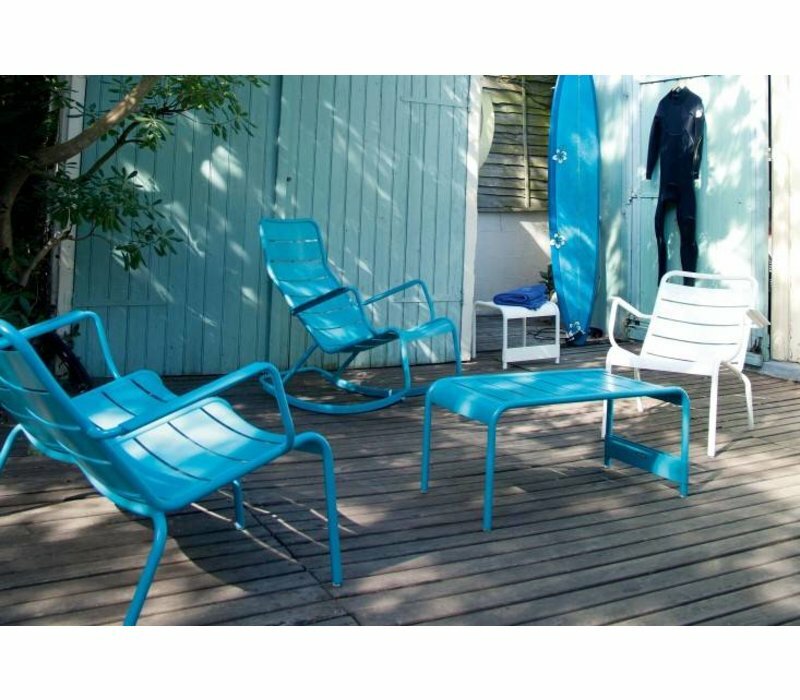 Fermob is an eco-friendly, French outdoor furniture manufacturer located outside Lyon. 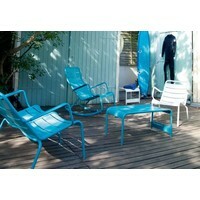 Fermob creates innovative, clever, practical and fun outdoor furniture, filling your world with color. 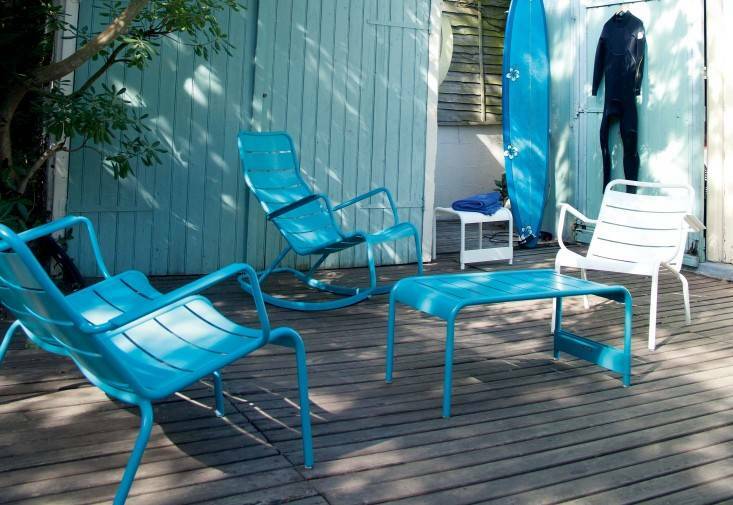 Fermob’s business is outdoor, which is why sustainability and respect for the environment are naturally rooted in our culture – as well as our production process. Each product is personally inspected and signed off by a Fermob expert before it is ready to ship. Because Fermob works mainly with raw steel or aluminum, our furniture is recycled and recyclable.